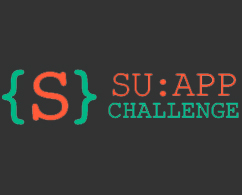 For a second year, students across the SU campus can showcase their software and hardware application creativity while competing for $2,500 in prizes at the fall SU App Challenge. Competition founder Keisuke Inoue, an instructor for the School of Information Studies who teaches social web technologies, initiated the idea for a student competition last year. He wanted to offer students the opportunity to compete in a different sort of entrepreneurship competition—one whose main focus was on the building of mobile and web applications, and the elegance and innovation of product and system ideas—not necessarily the revenue aspects and the process of bringing those innovations to market, he says. The SU App Challenge lets student teams compete and win prizes based on “three Is”—the innovation, integrity and impact of the application. The competition opens for entries Oct. 1. Applications will be accepted until Nov. 15. Students will compete in two rounds of competition. The first round takes place Nov. 18–23, when judges will interview teams and assess the applications developed based on the “three Is’” impact. The second round of competition occurs at a Demonstration Day event on Dec. 5. That final-round competition will take place at the ICEBox, the new collaborative and ideation space on the second floor of Hinds Hall at the School of Information Studies. At its inaugural event last year, Inoue described the SU App Challenge as a competition “about the product that’s been built. It’s about the system itself. We’re looking for people who have made amazing things, who are really good at building apps.” He said that the competition also brings people together in ways that are beneficial to both students and entrepreneurs. “The challenge tech entrepreneurs face is finding tech talent and connecting them to business talent, and this competition provides a way to showcase tech talent to business people,” he adds. Each competing team must develop an app—a set of software programs that run on one of the following platforms: smart phones, tablet computers, desktop computers, programmable hardware or web browsers. Prizes of $500 will be awarded in each category, and entry categories will be determined based on applications received. In terms of team eligibility, at least one member of the team must be a student at Syracuse University. More information about the contest details is available at http://appchallenge.syr.edu. Inoue, an app developer and entrepreneur, created a mobile app and built and brought to market the company “PsyQic,” which lets users share predictions. He and a student, Jennifer Hawk, also created the mobile/web platform Chase My Racer, which has won several prizes in entrepreneurship competitions in the last couple years.